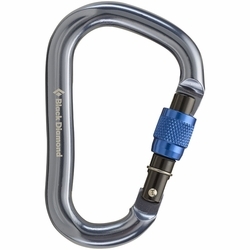 Black Diamond Rocklock Carabiner. Black Diamond's largest locking carabiner, the RockLock is perfect for belaying, rappelling or anchors. The Black Diamond RockLock carabiner features a keylock nose, is Munter Hitch compatible and can be operated with one hand.